Tribune Chronicle / John Vargo John F. Kennedy graduate Justin Bofenkamp, right, listens as YSU coach Jerrod Calhoun explains a drill Wednesday during the Penguins’ shootaround at Oakland University’s O’rena in Rochester, Mich.
ROCHESTER, Mich. — Paul Molinari looked over as the tour bus made its way to the O’rena on the campus of Oakland University Wednesday afternoon. 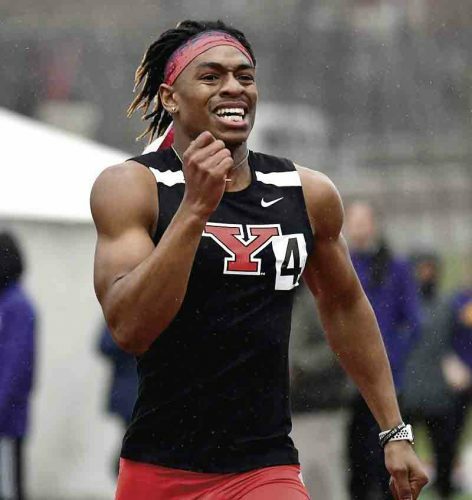 The Youngstown State University men’s basketball assistant coach commented on how the sun was out a bit longer, giving hope the below-zero temperatures would give way to sunnier, warmer days in the Midwest in weeks to come. It was a different perspective on the current, frigid weather, and so is following the YSU team into a shootaround. Once inside, the emptiness of the 4,000-seat arena seems odd at best; no student section, season-ticket holders or other onlookers of the Golden Grizzlies. Just the bouncing basketballs of the YSU team as they prepared for tonight’s game. About an hour of shooting around. Even the occasional half-court shot, one made by none other than Devin Morgan. Tribune Chronicle / John Vargo Naz Bohannon, right, shoots, while teammate Garrett Covington goes in for a rebound Wednesday at Oakland University in Rochester, Michigan. Drills and other workouts went on in the limited amount of time allotted to the Penguins. They practiced on the unique floor with a darker shade and embossed with the Golden Grizzlies logo at center court. Before Wednesday’s early-evening shootaround, the YSU bus made it to Southfield, Michigan, in about three hours from the Penguins’ campus. 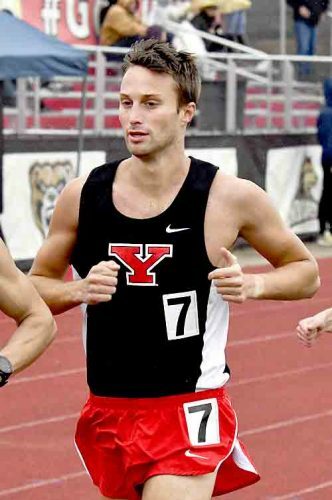 YSU coach Jerrod Calhoun prefers to stop at the team’s hotel, give the players a quick snack and then head to the opposition’s arena for a quick workout. They’ll do the same on game day, but go over different things. Players are also watched film in different hotel rooms with their position coaches, going over last-minute details. “It’s more about getting a sweat in and getting used to the arena,” Calhoun said before Wednesday’s shootaround. It’s different than most are used to seeing, especially coming from a high school setting. 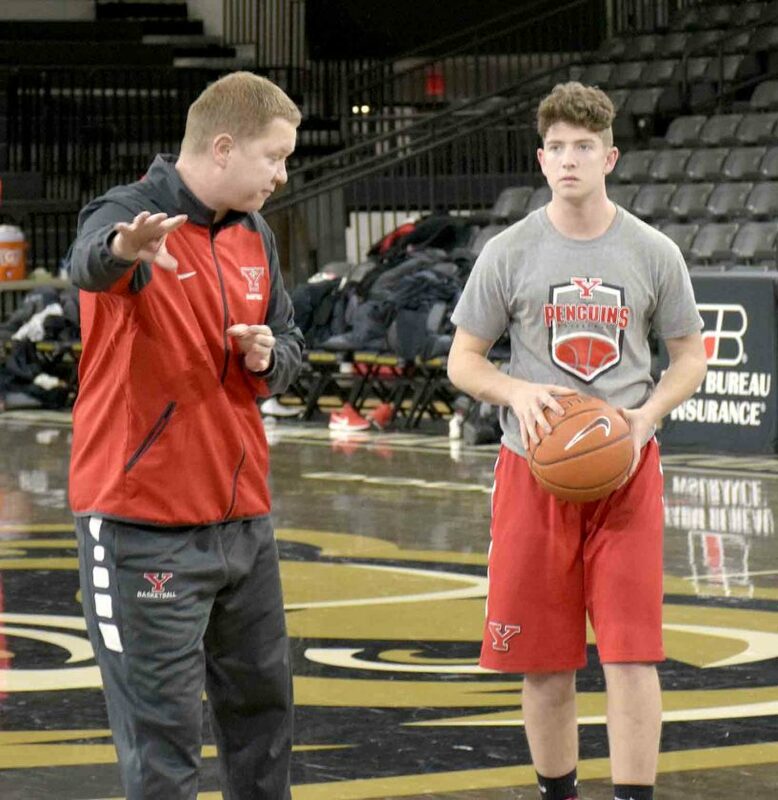 Justin Bofenkamp, a YSU sophomore guard, showed up as a John F. Kennedy High School basketball player the day of a road game, got on the bus, had a quick shootaround before tipoff and played. It’s a normal experience for varsity players. Then, the former Eagles standout started to see things differently as a Penguin player. Bus trips were longer. The focus was more than the game-day experience. 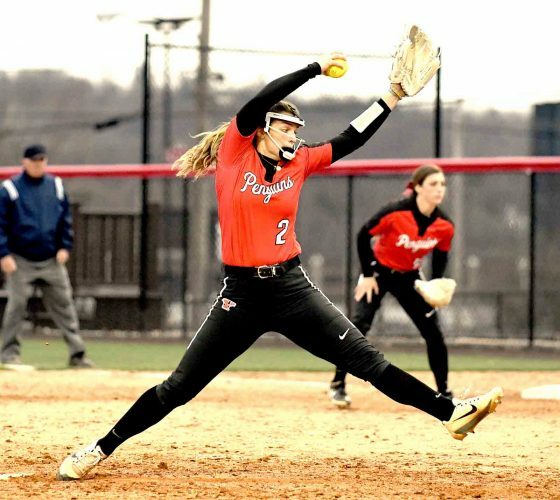 “Here you don’t realize how much goes into it, even watching the programs on TV on ESPN or whatever,” Bofenkamp said. “You’re in the hotel, shootaround in the morning. You have workouts throughout the day. Multiple film sessions, day of and day before the game. Calhoun and his staff watch even more film than the players, trying to make those adjustment before game time. “We’ll probably look at one more Oakland game,” Calhoun said. “Probably watch too much tape. There’s probably not enough tape. Bofenkamp watched film leading up to practice, seeing what is working for him and his teammates. Then, he shifts focus to seeing the other team play. The JFK grad doesn’t hesitate once he’s in a shootaround. He comes in almost dressed for action. All he has to do is change shoes. He starts shooting near the rim, progressively going out and making as many shots as possible. 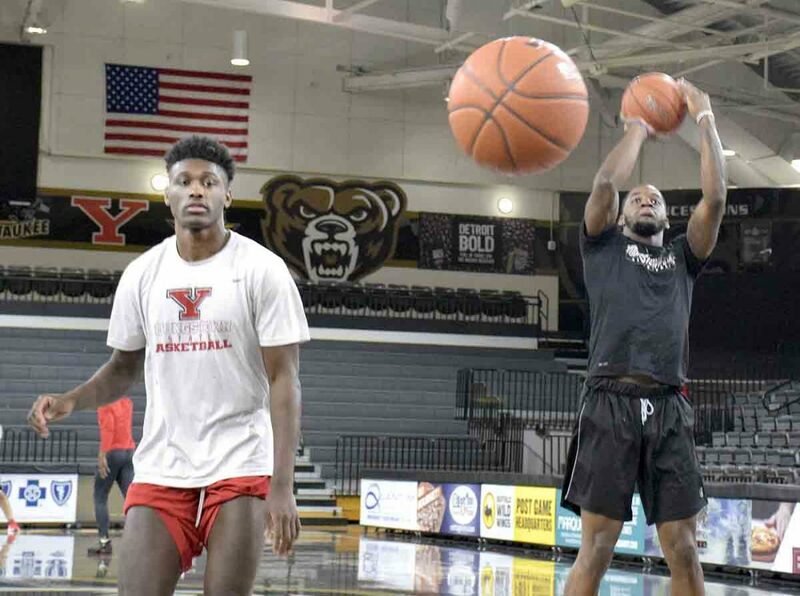 That’s exactly what YSU (6-16, 2-7 Horizon League) is trying to do as it faces Oakland (10-12, 6-3) tonight in the O’rena, a venue like no other in this 10-team league. “We play in some big-time arenas and some NBA arenas that seat 30,000. What’s cool here is it has that arena feel. It’s small. 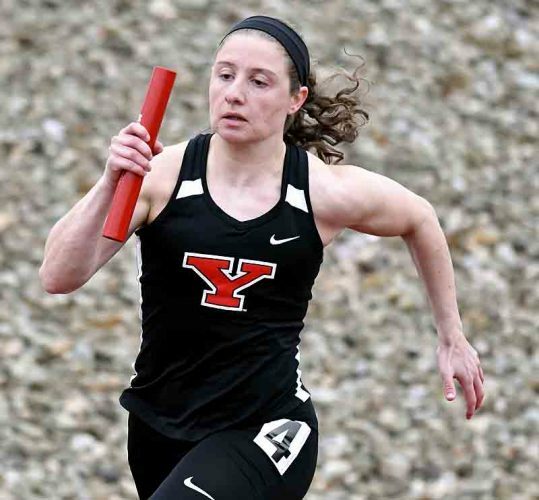 They can really pack it,” Bofenkamp said. “It’s the same thing like Duke. It doesn’t seat a lot of people, but it’s packed every game. It’s a great atmosphere. Fans are right on the court. It’s real rowdy, loud.